Finding a new job can be a daunting task for many, especially as nowadays there seem to be more â€˜jobseekersâ€™ than there are jobs. You can be sure that for every job you find and apply for, dozens of other jobseekers have done the same. In order to find the job you want, and quickly, you need to stay one step ahead of the competition and stand out from the crowd. So how can you go from â€˜joblessâ€™ to â€˜employedâ€™ in just two weeks? 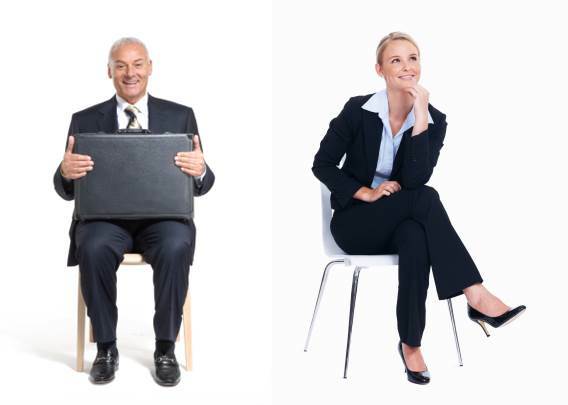 Read this article for hints and tips to finding the job you want and fast. Treat your search as a full-time exercise: the job of getting a job. You are employed by yourself as a sales person/marketing person selling the product – you. Most people who are looking for work simply do not spend enough time searching for their new job. Treat your job search as your full-time employment and spend your day-time contacting businesses. Then spend your evenings doing the searching and planning for your next dayâ€™s job hunt. The majority of job seekers spend less than 2 hours per day looking for a new job. In order to stand the best chance possible of landing your dream job, you need to manage your time so that you spend at least full-time hours in your new role as â€˜jobseekerâ€™. Use Apps â€“ Apps are readily available on phones and tablets and there are many directed solely at the jobseeker. Apps can be used just about anywhere so even if you are travelling on public transport you can still be using your time wisely to search for new employment. Traditional Methods â€“ It is always worth checking the job pages in the newspaper for jobs that may be local to you. This is still a method used for recruitment and you may stumble upon the job you want this way. Recruitment agencies â€“ Make sure that you contact an agency when you begin your search for employment. Recruitment agencies are there to help you find work and it is in their best interests to find you work as soon as possible. Job Centres â€“ Using a job centre could be worth a look, but it is becoming increasingly common for jobs posted this way to be already â€˜spoken forâ€™. Whilst this avenue of job searching may be worth investigating, do not rely on finding a job this way and keep the time spent here to a minimum. Networking â€“ One of the very best ways to find a new job is by networking. This is what you should spend the majority of your time doing as you search for a new job. Use social networking sites on the internet and be prepared to spend hours creating contacts and â€˜emailingâ€™ or â€˜phoningâ€™ anyone you know who might know of a company looking for new employees. One of the best methods to finding work is to make contacts and find new job opportunities before they even come on the market. Searching the internet and contacting the job centre is fine, but as this is the way most people search for a new job, you are automatically putting yourself at a disadvantage. Networking, on the other hand, will make you stand out from the crowd. Start by making a list of people you know, such as friends, family or people that you once worked with and let them know that you are looking for a new job and the kind of work you are looking for. Simply ask them if they know of anyone who might be looking to employ someone new in their company, whilst remaining professional at all times. In time, your list will grow and you will end up making hundreds of phone calls in your search for a new job. Do not become downhearted when the majority of your calls end up with â€˜Noâ€™ as the answer. Turn a negative into a positive and ask what they would be looking for in future employees or if they know of anyone who might be looking to employ someone. Your hard work will pay off and you will end up with job interviews. Always dress professionally for an interview, no matter what industry you are interested in working for. Maintain a good posture and do not fidget. Both excellent tips if you want to land a new job in any industry! such forums are often viewable by anyone, and you may face repercussions from your employer if you choose to write about work issues, regardless of whether it’s from your desk, home or mobile phone. Finding work in todayâ€™s competitive job market isnâ€™t easy, but by putting the time and effort in and using all the avenues available to you, it is possible to find work in under 2 weeks. Ross Davies enjoys blogging about employment and job seeking topics and has a wealth of experience in helping people finding work through his work in recruitment agencies. He lives in the UK with his wife and two sons and when not blogging he enjoys social networking, watching science fiction movies and going to the gym.